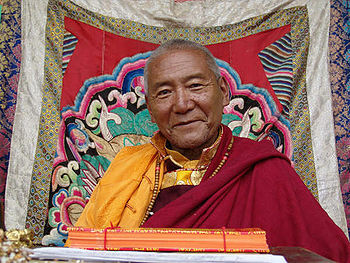 Katok Moktsa Rinpoche is one of the “Five golden throne holders” of the Katok Monastery lineage. He currently lives primarily in Kham, Eastern Tibet and occasionally travels to other Asian countries. Katok Moktsa Rinpoche’s younger brother is Bairo Rinpoche. His nephew is therefore the current Gyalwang Drukchen Rinpoche. This page was last edited on 23 July 2014, at 20:10.